It’s being reported that HBO is actually considering a possible new series adaptation of the legendary Alan Moore and Dave Gibbons comic book Watchmen. Many of you will recall the 2009 movie adaptation of the same name, directed by Dawn of the Dead (2004), 300, and Batman v Superman: Dawn of Justice director Zack Snyder, which was far better than anyone expected the once thought un-filmable adaptation to be. It’s Snyder himself who is currently in talks with HBO about the potential for a series based on the comic. HBO looks at many potential new shows all the time, so this might be something they ultimately decide is not for them. An adaptation of Neil Gaiman’s American Gods was once being developed there that many fans of the book were very excited about, but they ended up passing on that series before it eventually made its way to Starz. But HBO is considered one of the very best—if not the best—when it comes to making great TV shows, and comic book fans will surely be buzzing with excitement at the thought of one of the all-time great comics being made into a series there. And even if HBO declines the show, if it’s something Snyder really wants to do he could take it to Starz or somewhere else and see if there’s any interest there. The big question is if a series is eventually made, where would they start it? Watchmen as a whole is a little over 400 pages long, making it a challenge to faithfully turn into a movie but also a challenge to stretch into a full TV series. There’s plenty of backstory and prequel stuff they could definitely use, but where they might go after reaching the end of the comic story? Who knows. Perhaps it will be a limited series adaptation. 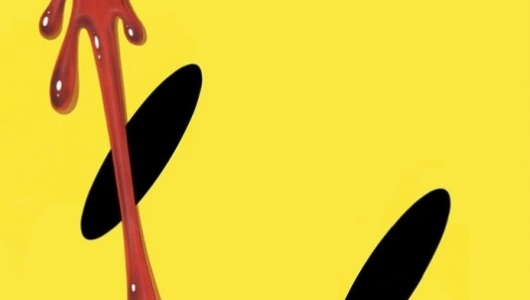 Do you want to see a Watchmen series? If so, would you rather they stay as faithful to the source material as possible, or would you be open to them changing some things up as has been done with Game of Thrones, for example, in order to expand the story to fit a multi-season show? New To Netflix October 2015: Batman, Bourne, Boogie Nights & More!